Social science researchers connected to Supreme Court abortion decision. 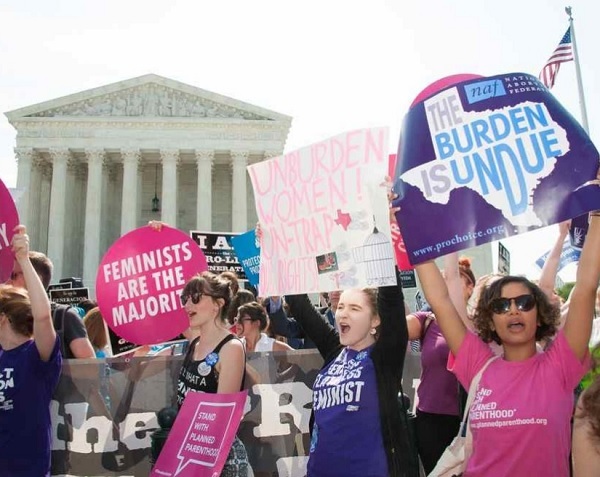 On June 27th, the Supreme Court ruled in a 5 to 3 decision, in the Whole Woman’s Health v Hellerstadt case that certain regulations of abortion clinics imposed by Texas were unconstitutional. To read the New York Times article on the decision, click here. The legislation required that abortion providers have admitting privileges at nearby hospitals and that abortion clinics meet the same standards as Ambulatory Surgery Centers, that is to become essentially small hospitals, requiring upgrades that could cost more than a million dollars. While the state claimed that these regulations were passed to protect women’s health, this was an obvious effort by anti-abortion politicians to restrict access to abortion. Some 162 clinics have closed since 2010 in various “red” states, mostly due to similar restrictions. Were the Texas legislation upheld by the Court, the number of abortion clinics in Texas would become less than ten, down from 40 before the legislation was passed. The central issue in the case was an empirical question; what would be the actual impact of these regulations on the health of women in Texas? This issue was directly addressed in one of the numerous friend of the court briefs submitted in this case, a brief of Social Science Researchers, signed by forty-seven scholars. The brief worked through the issues, systematically providing the evidence of the superior safety of abortion compared to other medical procedures that were not subject to such restrictions, and the negative consequences for women’s health when access to abortion is either delayed or blocked. Carole Joffe is also, we are proud to say, a board member of the Center for Engaged Scholarship. Carole’s analysis of the significance of Whole Woman’s Health can be found by clicking here. This is a gratifying example of how engaged social science research can influence public policy at the highest level. With any luck, someday soon the Court will also draw on social science research to throw out all of the voter identification laws that have been passed with the rationale of protecting the election process from in-person voter fraud. The cases are closely parallel; the actual intention is simply to block access to the ballot to groups that are likely to vote against the right wing agenda.